HTFS 2 heeft als beoordeling 4.7 van de 5 door 47. Rated 5 van de 5 door Nieko06 uit Beautiful stands I was disappointed when I bought my speakers and I couldn't find these stands anywhere. I am so glad they started selling them again. These stands are a perfect match to my HKTS 16 speakers. I highly recommend these stands. 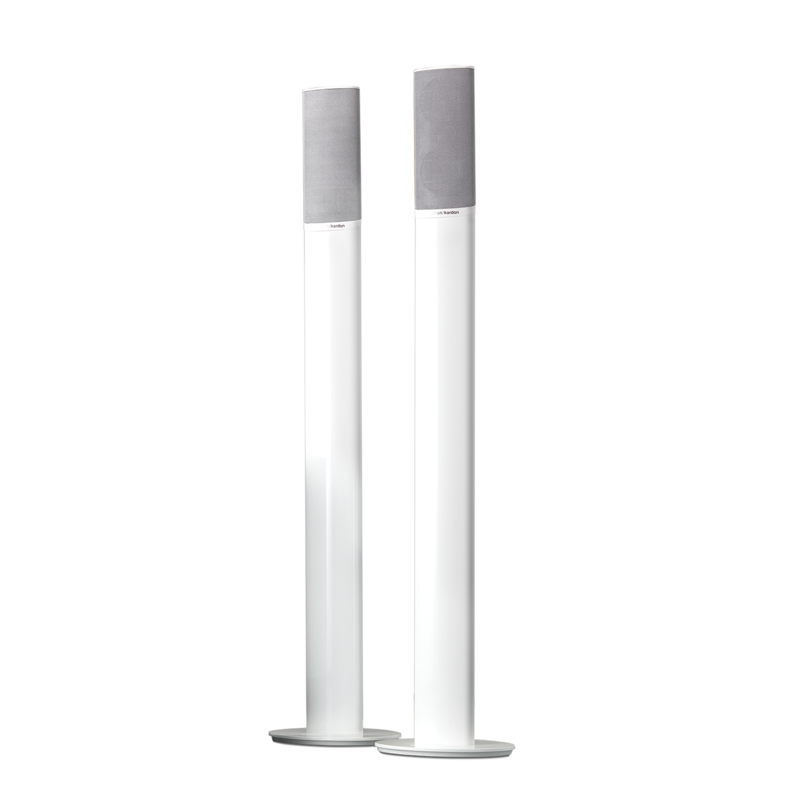 Rated 5 van de 5 door realcyberbob uit Great looking and built well I bought a refurbished pair of speaker stands so I assumed there may be something wrong cosmetically with them. The only issue is that both bases have a small dent, not enough to bother me. The speakers mount flush and look liek 1 unit, very good looking. It's a bit top heavy but it won't topple over unless you hit it hard enough. Only issues is that for speaker stands they are very expense but if you care about how your setup looks, I would recommend them. Rated 5 van de 5 door JeanEudeDu54 uit Rien à redire La qualité est impeccable pour du reconditionné, on pourrait même dire que c'est neuf vu l'état du produit. Le montage est simple et rapide, et le résultat est conforme aux attentes. Rated 5 van de 5 door jolanda89 uit een vraagje !! zijn deze palen voor de boxen van harman bds 635 ?? Rated 5 van de 5 door StarLove uit Great quality. I love these stands. They are beautiful, shiny, and sturdy. It definitely help with the surround sound experience. The speakers by Harman Kardon that we have placed on them seamlessly. I do recommend these stands if you have Harman Kardon speakers. I love Harman Kardon. I have it in my Mercedes as well. the best sound system ever.